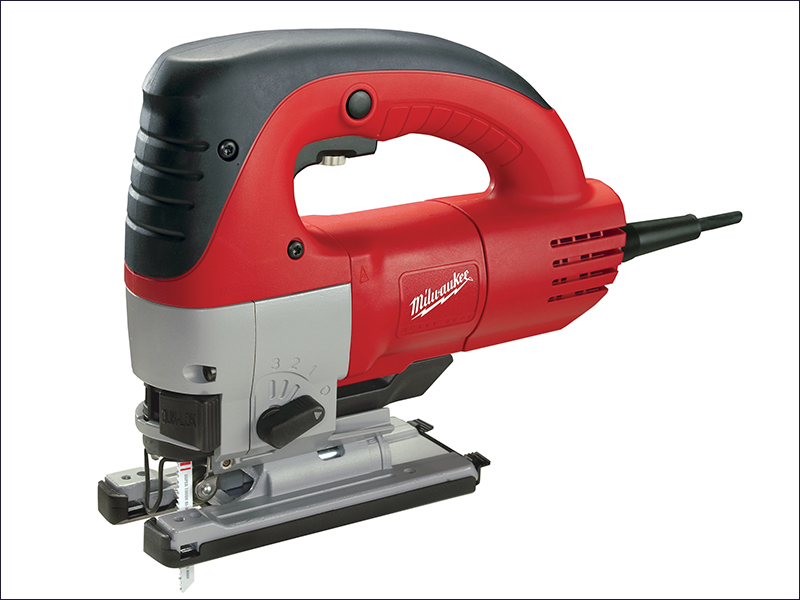 The Milwaukee JSPE 135 Tiger Jigsaw is a robust and powerful top handle jigsaw for fast cutting action in wood, aluminium, steel or ceramics. It has an excellent power / weight ratio - with a powerful 750 watt motor and total weight of only 2.5 kg. The jigsaw has variable speed preselection, soft start and constant speed under load. An LED light delivers illumination of the cutting area, and an adjustable chipping blower to the front and the rear of the machine helps clear the work surface. Supplied with 5 saw blades, anti-splintering device, dust cap, absorption adaptor and sliding shoe. Supplied in a kitbox. Strokes at no load: 800 - 3,000/min.